This is a looper that’ll come out to play, but get down to work when you want to get serious. While other music creation apps tend to be either powerful but difficult to learn, or easy to use but limited in features, Loopy doesn’t compromise. Loopy offers a sleek, expressive, instantly understandable interface that beginners can start using effectively straight away. It’s fun, right from the start. More advanced users, however, will not be disappointed by Loopy’s rich feature set, with extra features many other loopers just don’t have. 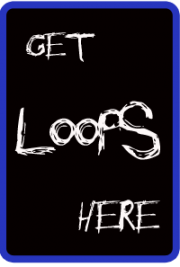 Plus, a sophisticated interactive tutorial system lets users discover Loopy’s more advanced features at their own pace. NOW you can now synchronize the clock across multiple devices, over a cable and over WiFi/Bluetooth, and across multiple apps on the same device. This version also includes fully trainable MIDI control, so you can connect a foot switch or any other MIDI input device, and bind actions to any MIDI events. Loopy HD on the iPhone now also allows you to display up to 12 tracks on-screen.